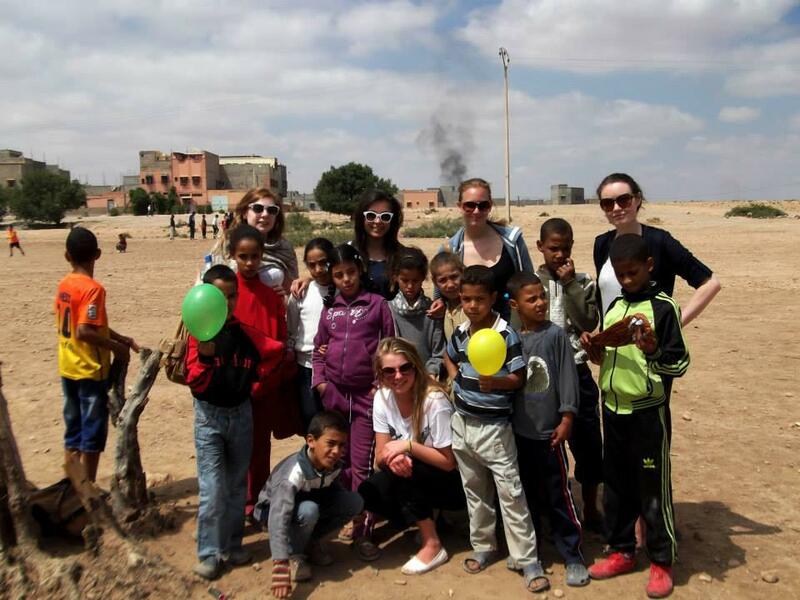 With the help of Eleanor Peel Trust fund we were able to visit Marrakech, Morocco to volunteer with the organisation Open Hands, this enabled us to contribute to many different projects and visit a variety of different people from very disadvantaged backgrounds. As we arrived at the airport we were greeted by a lovely man called Adel, he spoke quite good English and took us to the taxi which would take us to where we were staying. The taxi took us through the touristy New Town of Marrakech, where people were still walking in and out of designer shops, however, when we reached the Old Town, it was a complete contrast; there were many people sat on the street begging, including children, as well as many different stalls still being open with people desperate to sell their goods, which mainly consisted of fruit, vegetables and bread. The Old Town felt like we were in a entirely different country to where we had previously driven through, we all felt that it was very strange that within such a short distance people could live completely differently. 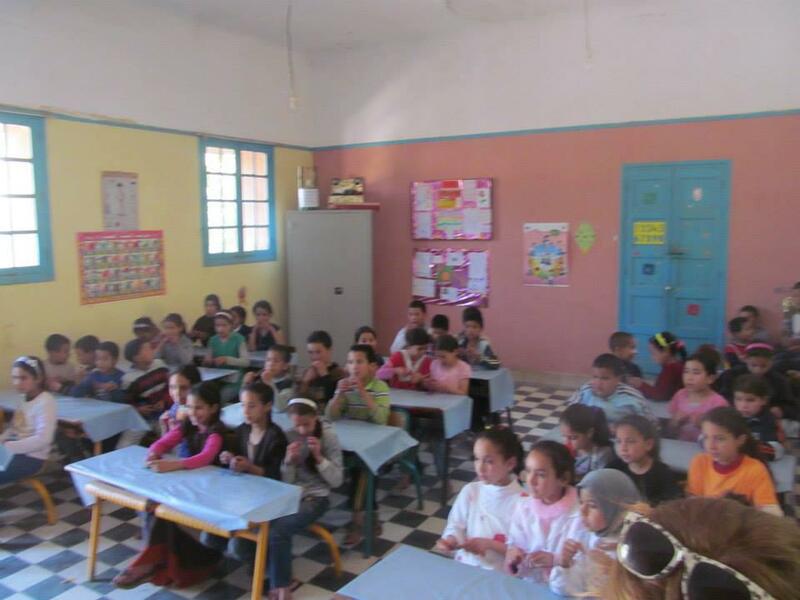 We managed to take part in a variety of different projects, the main thing that we saw from project to project was the smiles of the children’s faces when they realised that we had travelled to visit and work with themselves. 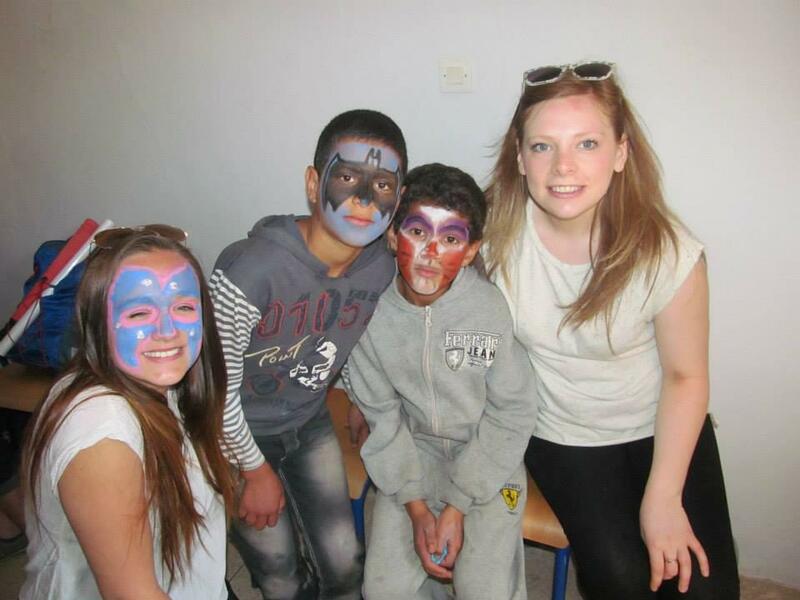 We all thought that the projects would be quite a sad experience, however, we soon realised that the children did not wallow on their situation, but more embraced it, making friends and enjoying life. 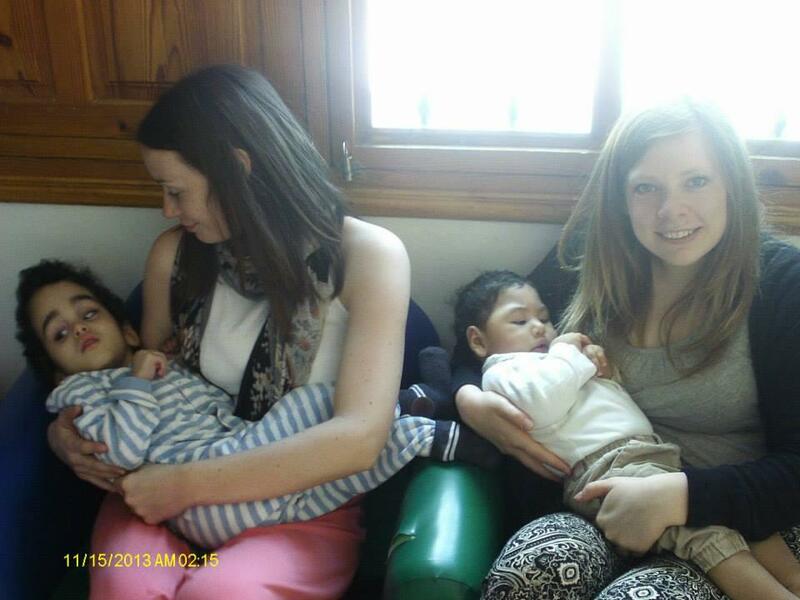 The project that seemed to touch us the most was the baby orphanage. This was an orphanage which was attached to a hospital. Although it was a baby orphanage, the oldest child which lived there was 14, this was because the child was disabled and the orphanage did not have enough money to send the girl to a Special Needs centre. 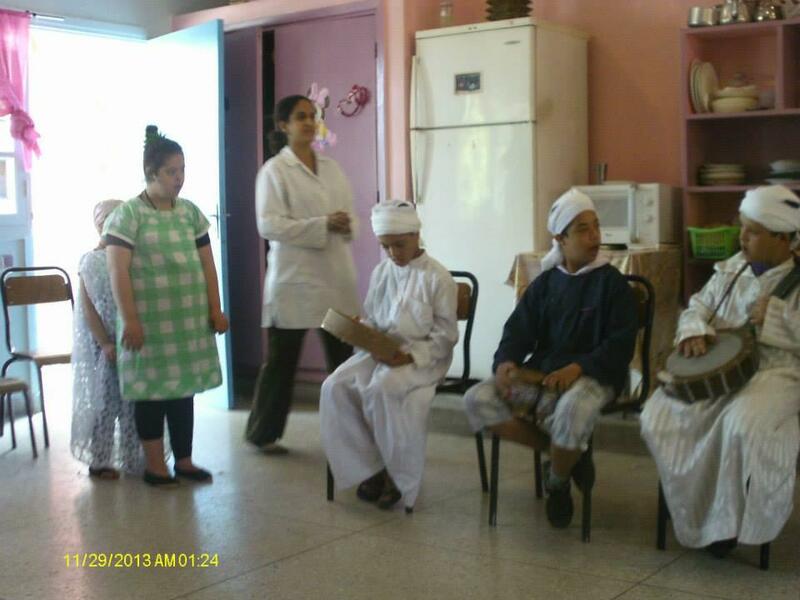 During our visits to the orphanage we spent time playing with the children as well as nursing them. Feeding the homeless made us all realise how lucky we are to be able to afford basic food. Each week we all put money into buying food to feed the homeless. We managed to feed over sixty people with around £20. A freshly baked loaf of bread is approximately 8p, which we believe shows how poor these people are, as they are unable to afford this for themselves. We prepared the food and then took it down to a local book stall where the man who owned the shop helped us hand out the food, cues would begin to form and often arguments occurred if people were pushing in. After the food had been handed out, we would walk through the square where the people were sat and we were thanked continuously, these people really did appreciate everything we had done for them. We managed to visit lots of schools, nurseries and places which local people had set up for children who’s families could not afford to send their children to school. There we took lots of resources for arts and crafts, which the children loved. We also took the children outside and played outdoor games with them. 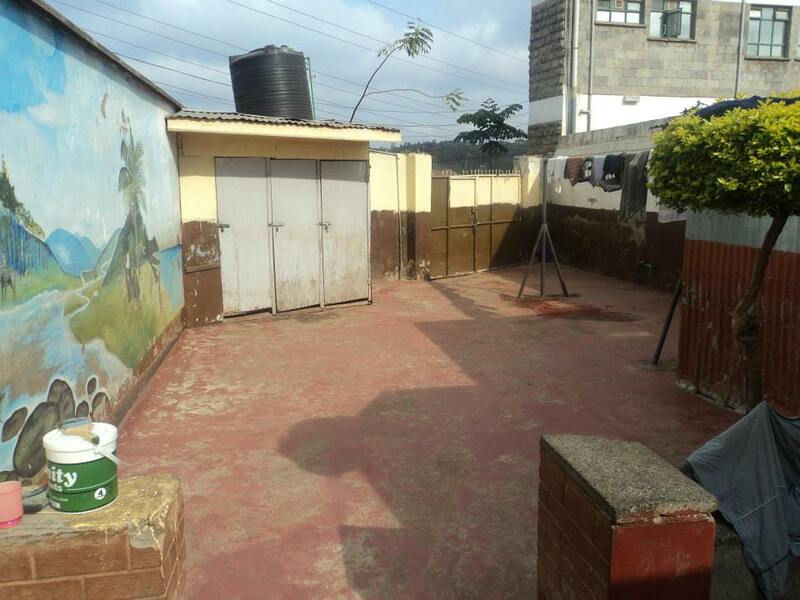 We were shocked that some of the schools outdoor areas were derelict, covered in stones and broken glass, however, this was the children’s way of life so we had to make the time we had with them as enjoyable as possible. The children loved skipping and football, even with the language barrier we were able to teach them how to play snakes and ladders as well as rounders. 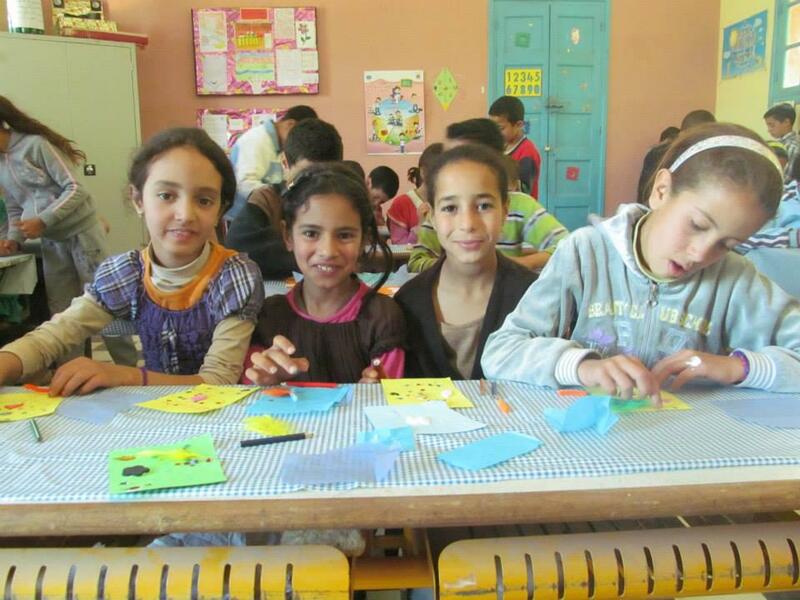 Although we were only in Marrakech for three weeks, we believe that we managed to help a great deal of people, we thoroughly enjoyed our experience and without the help of Eleanor Peel Trust we probably would not have been able to do it, so thank you! We don’t think it will be long until we go back to Marrakech! 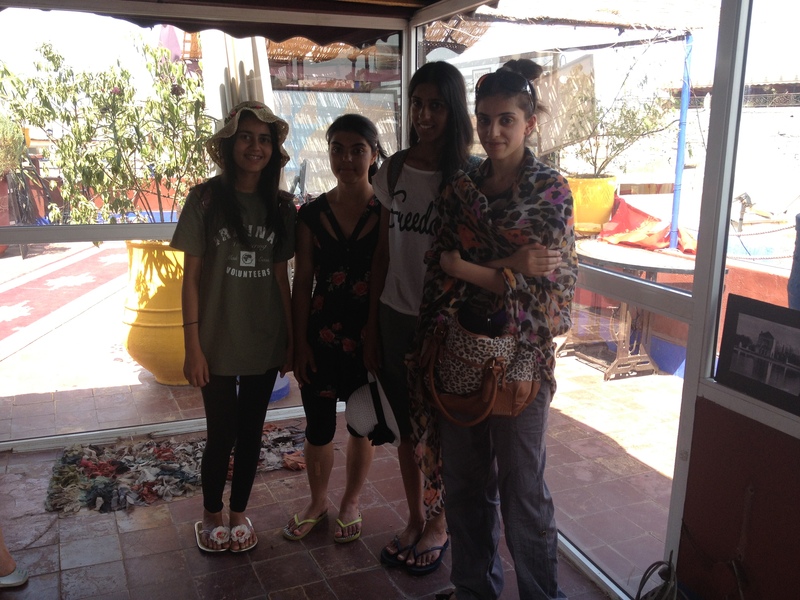 For my alternative placement I decided to do my work experience in Morocco i.e. 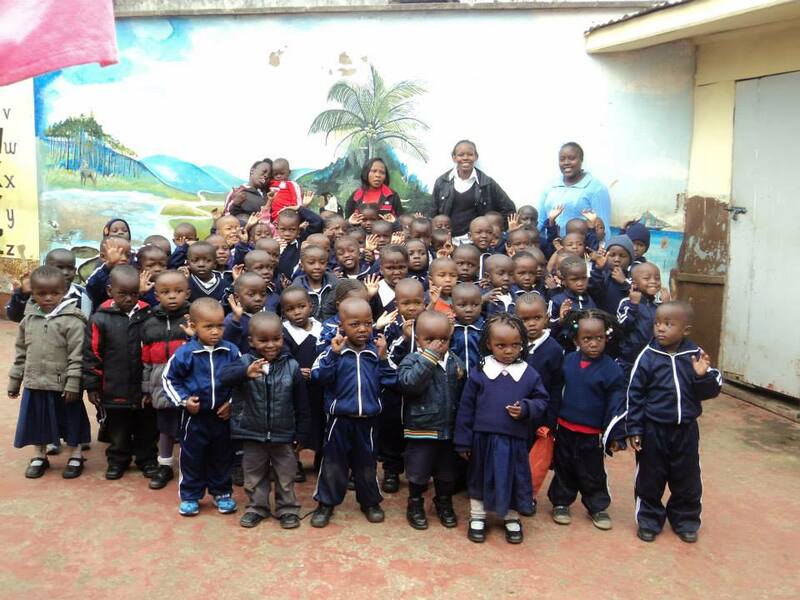 working with the orphanage children in schools as well as youth clubs. This was part of an agency called Original Volunteers. 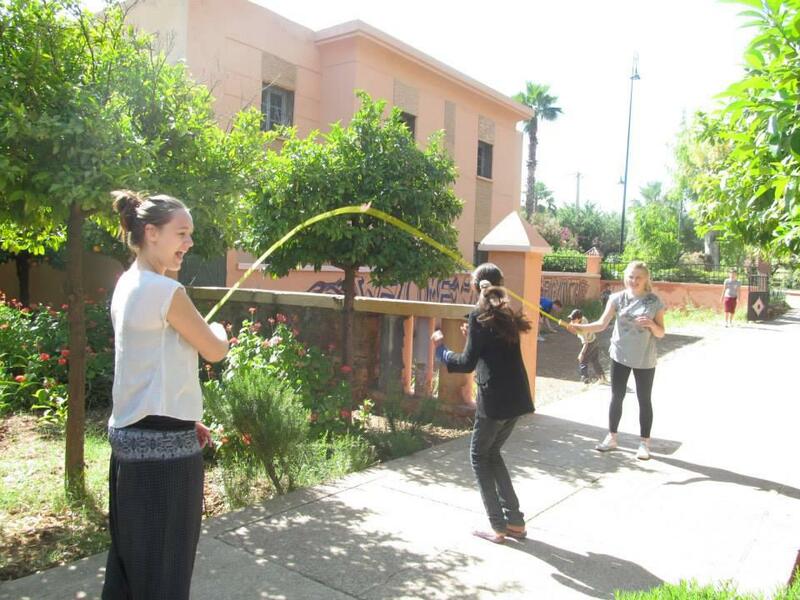 During my time in Morocco Marrakech I had a really great time in not just working with the children but also working alongside other students and staff. As it gave me a chance to meet different people from all over the world as well as qualified teachers and trainee teachers like myself. This really had a huge impact on me and helped me to boost up my confidence and self-esteem not just working with the children but also working alongside other staff member and trainee students. 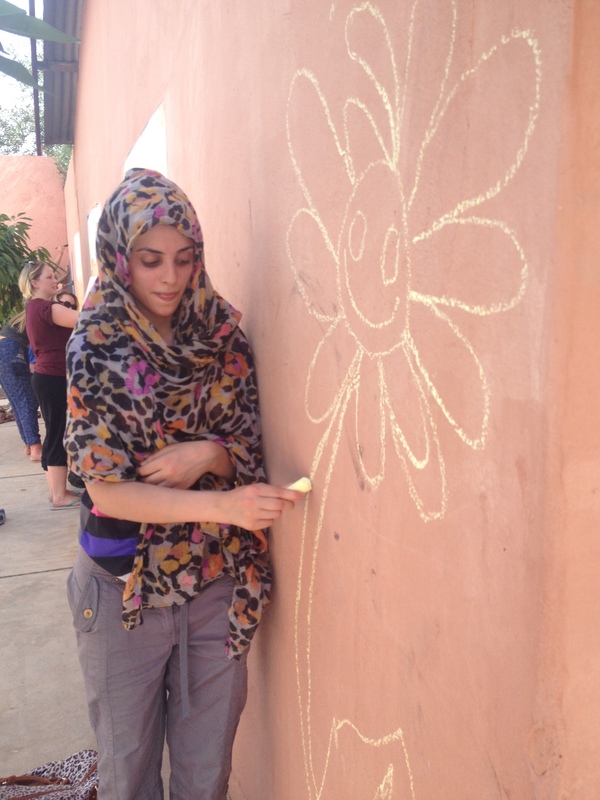 Some of the tasks and projects that I undertook was going into schools and helping children design masks for a festival and we also decorated some of the schools by painting on the walls and making it a more colourful and a welcoming place for children to work in. As well as this I also worked with young people for example we took part in many sport activities such as playing cricket and football. 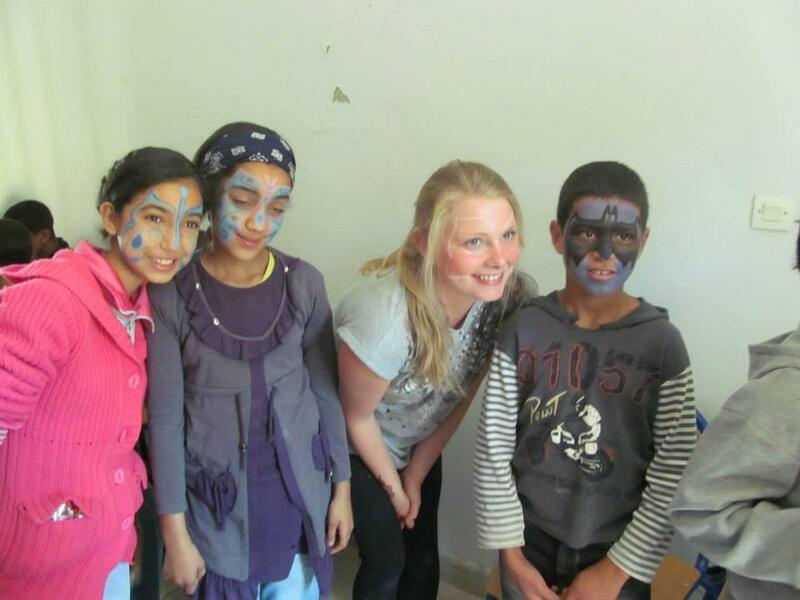 Doing my work placement in Marrakech and working with orphanage children was an amazing experience for me as I never imagined that I would have an opportunity like this and work abroad because first of all I’ve never ever travelled and been abroad by myself so it was a totally new and a first time experience. I do admit that just before take-off I was feeling very nervous travelling without family to a completely different placement. However as soon as I arrived at Marrakech the way original volunteers was organised was unbelievable as I had other volunteers as well as the co–coordinator if the original volunteers were all waiting for me. As soon as we arrived to the Riad i.e the place that I was going to be staying in the co-ordinator gave us a brief talk of what is expected from the original volunteers and what sort of activities we will be undertaking. 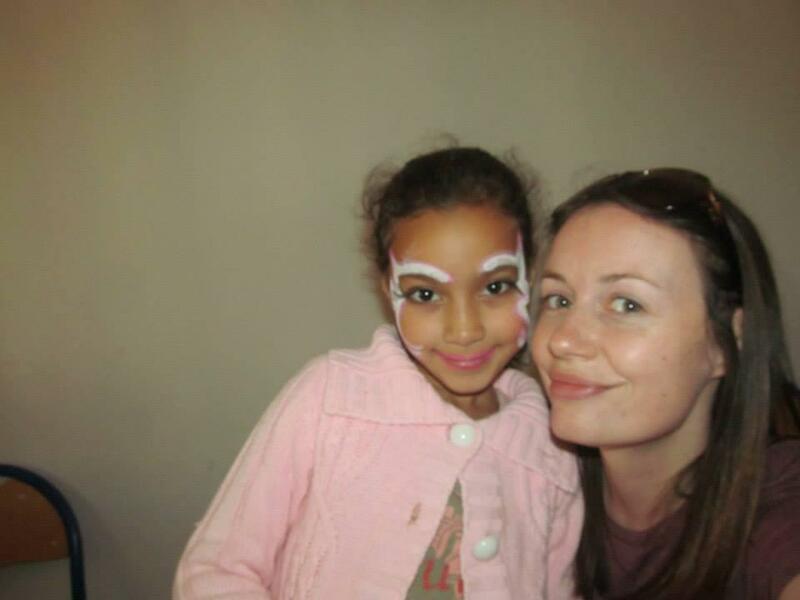 During the summer holidays I spent four weeks in a children’s centre based in the second largest slum in the world. Before flying out to Kenya I had arranged fundraising nights and asked for donations of friends, family and local sports clubs. When I had collected the donations I had a suitcase full, and was taking over 1000 pencils and lots of other items. The donations suitcase weighed 23.7kg! Very successful fundraising. I also managed to create a link with a local primary school who agreed to donate any equipment that they had left in their store cupboard and sent letters home to see about parents donating anything. I went into the school one assembly and collected their donations and a letter from the school council to Havilla Children. Whilst at the center I helped in their lessons as well as lead some lessons, which required me to plan for prior to taking the lessons. I also took their sports lessons and circle time sessions. The teachers were not confident in teaching sports so whilst I was there I gave them some games and activities that were simple and that they would be able to do with the children. Which was good as I could pass on my knowledge to them as PE is my specialism and it was really good as they were very appreciative. During one lesson I worked with the older class and we all replied to the letter that the school in England had written and then that night I wrote it up ready to give to them in September. There was also times where I worked with them running the health program and helped with giving them their lunch. I spent Monday to Friday in the school starting at 8am and finishing at 4. Some days I was there from 7.30am and also there was an occasion when I stayed until 7pm working with the Havilla Youth team. 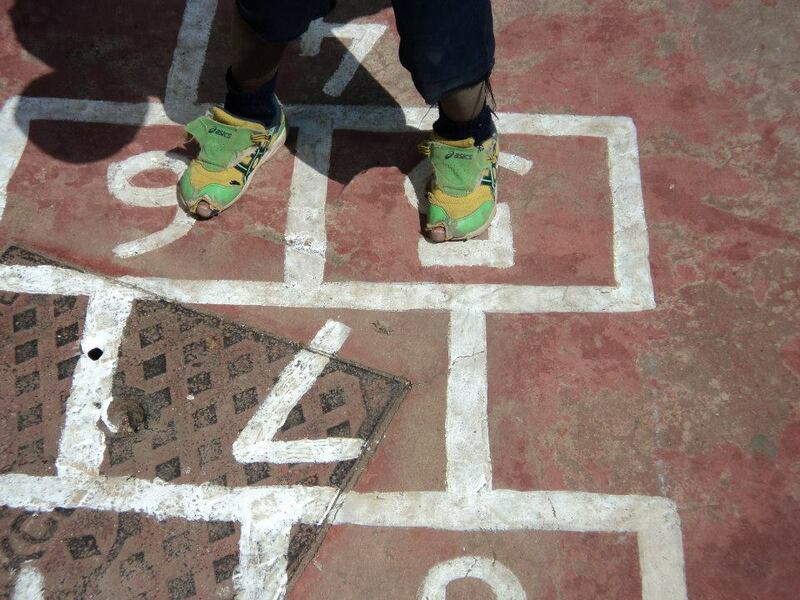 I gave up one weekend to paint the playground as a surprise for the children as they didn’t have anything in their playground, so alongside 2 other volunteers I painted games on the ground such as hopscotch. Then on the Monday we got to school earlier to see the children’s reaction which was amazing. They loved it and at break and lunch they were all active instead of sitting down and then circle time and sports was a lot easier as there were lines marked on the ground. As well as working in the school, I also helped on the administration side, writing letters to local organisations to try raising awareness of the school and help gain some donations to help aid the new school build which they are trying to raise funds for. I was also attending meetings with board members to discuss how the school could improve and they have also made me a trustee of the school. Since returning from Kibera, I have created presentations to give to the primary school who had donated equipment, so when the schools go back in September I will be going in and leading an assembly on my experiences and how they helped Havilla. I have also agreed to help another volunteer going round the Universities advertising the opportunities at Havilla, and I am the reference for other volunteers thinking of visiting Havilla. 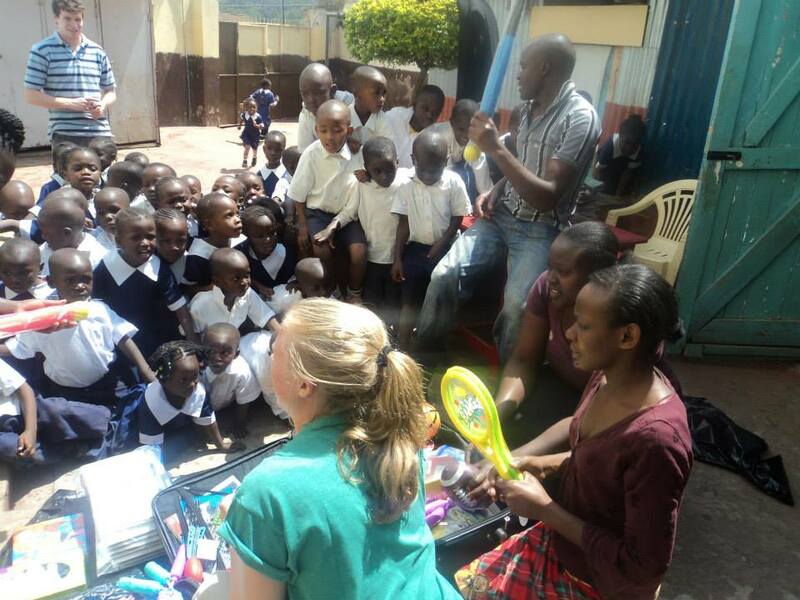 I have learnt a lot during my four weeks in Kenya, not just about the school life but also how they live compared to us and by going on home visits to the children’s homes within the slums just how lucky we are here in the UK. Whilst being in the school I have learnt how to communicate with children who are not fluent in English by other forms of communication other than speech. 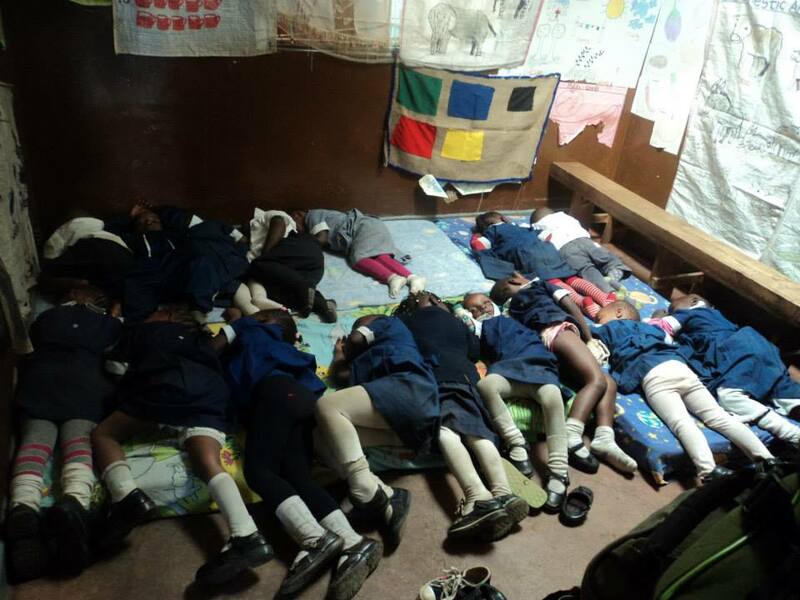 I also learnt how challenging it can be to teach a class when there is no resources and the children are all squeezed into a tiny room. 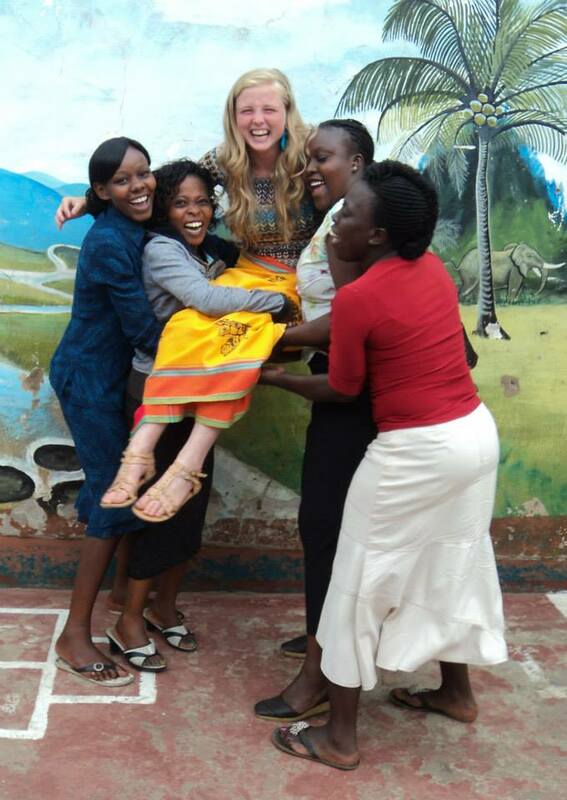 There was many challenges that I feel I overcame whilst in Kenya and I feel that I have developed as a professional practitioner and that my teaching ability has improved.